Hi guys, I would like to thank you all for that forum and tell you my experience with my B serie LE32B550. -8- Now carefully connect the the lcd flat cable back to the main board (be very careful, the tv is stil powered up!) and you will se the menu ! I never updated it (I think it is the latest firmware version). Has LE32B550 a Content Library ? Is this Content Library only present in older firmwares of is it totally absent from that TV model independat from firmware version ? The last question is: if Content Library was NEVER present in that TV model, is it technically impossible to have it reprogramming the firmware ? Sorry if answers are spread-written in the forums, I really spent lot of time reading many thread since yesterday without having a clear answer... thank you very very much for your support ! Last edited by asper on Sun Sep 23, 2012 12:04 pm, edited 4 times in total. Hi, thanks for sharing! I believe this info saves nerves for someone. B550 does NOT have Content Library neither on recent nor on previous firmwares. You have to replace mainboard from B650 to get this functionality. Yes, this is possible, but you will have only 50 Hz instead of 100Hz (is this important? its up to you). We had several tries to add the ContentLibrary in software way, but failed. Thank you for your extremely quick answer ! I am very happy to share info like those ! Reading your answer I can assume that with my model (B550) it is impossible to run those: http://wiki.samygo.tv/index.php5/The_B_ ... tions_list .... Right ? If it is impossible, is there a way/store to buy a B650 board-only ? How much does it costs ? 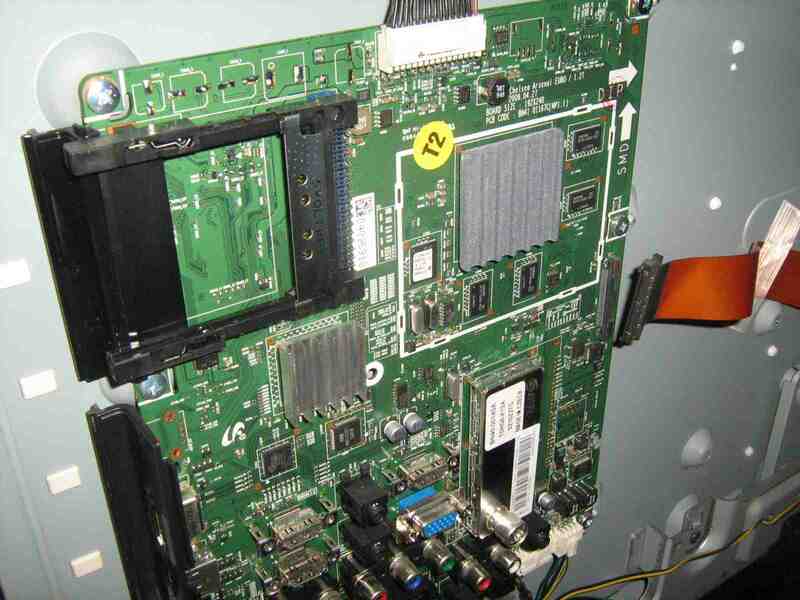 Ask your local samsung service, or check e-bay, or you can also buy from here: http://euroservice2000.abc24.pl/default ... pro=649188 (i don`t know if this mainboard is proper for you, it is one of available B650 mainboards (non CI+! ), but i think it should 99% be ok for you). Before to buy another mainboard, read this wiki page. Info there is unfinished, but you could contact the author twisted89 for detail consultations. Another problem as you see could be is back panel - it won`t fit from B550 and you have to change it as well or make some modifications of existing one. Ok, thank you for the link !!! The very last question: can you confirm that, actually, none of the various "Content Library Applications" can work on B550 TVs ? Last edited by asper on Fri Jun 22, 2012 4:14 pm, edited 1 time in total. Some of SDL-free apps will work (like Resizer) or extensions scripts (nfs, samba mounts over wifi network), but only if loaded from autostart (over SamyGO.sh script and gdb trick). Pls read around here before to make decision. To use them I need to roll-back/patch the firmware, right ? Thank you really really really much for your politeness ! If you need you can post the "remove flat cable" technique into the wiki. Here is no PVR for this model (i havent checked what about one from ExLink cable, but no games like SamyGO App, or SamyGO PVR, or PVR+). Yes, remove-cable methodic was known by me, but it was not documented anywhere yet. Now it is. I think that without "Samsung Apps" you cannot have Content Library, Am I right ? Please don`t flood this thread. Better start another thread for your local problem/suggestions and so on. Your chart is for 2010 models (C series), your TV is B series (2009 y. ).